I really hate gambling and playing with fruit-machines, I detest the burn of Jack w/ cola in my throat and also, I don’t smoke. 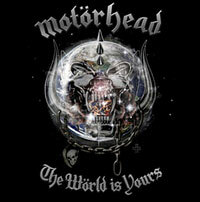 But I do love MOTÖRHEAD; actually, I consider myself as a die-hard MOTÖRHEAD fan. I’ve been watching these guys since 1992 and “March Or Die” and I could say that it was love at first sight. 35 years of existence, 20 studio albums auspiciously and millions fans around the globe are enough to convince all the infidels that this band is made of success or, putting it in other words, has all the four aces up its sleeves (and don’t forget the joker!). 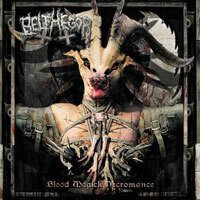 I had always the impression that BELPHEGOR were getting better in every album. When “Walpurgis Rites – Hexenwahn” hit us I thought the Austrian band had reached an upper limit delivering an excellent album. I tell you, in that album BELPHEGOR solidified a personal style full of shredding riffs wrapped in a brutal sound through the Satanic looking glass we all metalheads like in our Metal. 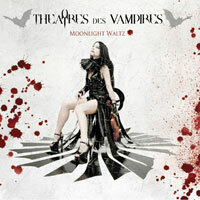 After the vampirism’s hurricane that deluges every form of art’s expression nowadays with the “Twilight” movies’ quadrology holding still the main role under the spotlight, it was time for Metal music to fall into the ‘vampires’ trap and the best representative for that ‘crime’ were the Italian gothic metallers THEATRES DES VAMPIRES that count auspiciously 17 years of life. The Polish Metal scene has been producing incredibly good bands for many years now, and I never tried to hide that I am huge fan of their music. Bands like BEHEMOTH, VADER, DIES IRAE and HATE always manage to find their way into my daily playlist. 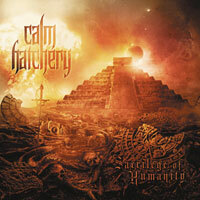 When I saw that CALM HATCHERY hail from the specific country, I was more than glad to review their brand new album. And their music of choice? Death Metal of course!